On Tuesday, Apple will host its “little more to show” event from San Jose’s California Theatre. As first reported by MacRumors, Apple revealed early Tuesday morning that it will at least stream the event live to Apple TV customers. A new channel called Apple Events appeared on Apple TV homescreens Tuesday, and while it includes access to Apple-hosted events of old, its most prominent inclusion is dubbed “Apple Special Event—Live.” The broadcast, like the event itself, is set to begin at 10 a.m. PT, 1 p.m. ET. No Apple TV? Fret not. Apple will also stream the event live on its website. The Web-based live stream requires Safari 4 or newer on Mac OS X v10.6 or later, or iOS 4.2 or newer. 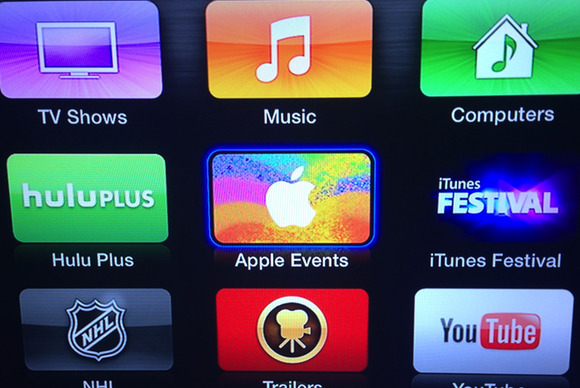 The Apple TV stream requires a second-generation model or newer. If you want to ensure you get live coverage of Tuesday’s event, then, you have a few options: You can rely on your Apple TV, the live Web stream, or Macworld’s live coverage of the event from San Jose. Apple is widely expected to unveil a new, smaller iPad during Tuesday’s event; the iMac, MacBook Pro, MacBook Air, and Mac mini might all see updates as well. In addition to our live coverage of the event, Macworld will offer reporting and analysis on Apple’s announcements throughout the week. Updated 9:24 a.m. ET with link to Web stream.